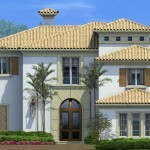 Sales are brisk throughout Old Palm, especially in the Golf Estates neighborhood, where just last week two homes closed. The excitement was palpable as the families moved in and began to enjoy all the amenities of the premier private Club community in the Palm Beaches. The first home, Courchene Development Corporationâs exquisite two-story Flagler model, encompasses 5,660 air-conditioned square feet. It features five bedrooms, five full and two half baths, a beautiful den and a spacious loft, all of it designed to maximize the seamless flow of indoor and outdoor spaces. The home site is just as spectacular as it overlooks the third hole of Old Palmâs Raymond Floyd-designed golf course. The other Golf Estates home that sold last week offers a commanding view of the golf courseâs 4th hole, a challenging Par 5 thatâs entirely bordered by water on one side. The homeâs new owner just moved to Old Palm from Atlanta and is looking forward to settling in and meeting his neighbors. Best of all, the previous owners didnât move away; they relocated to a home in Old Palmâs extraordinary Custom Estates, proving that once you live at Old Palm youâll never settle for anything less.